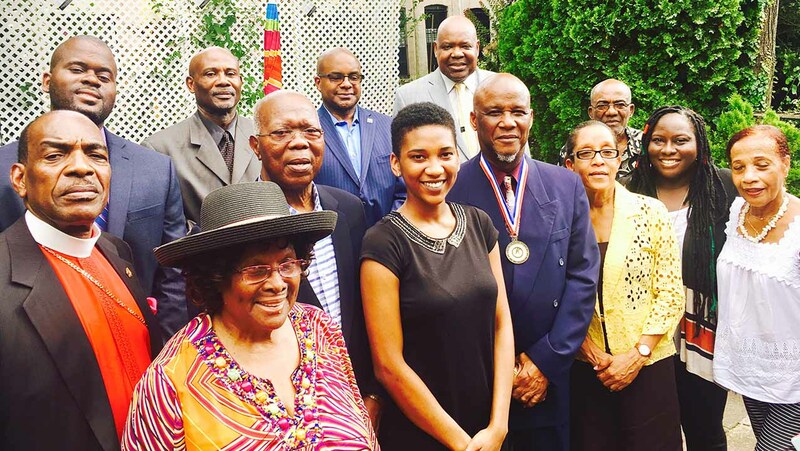 Castries, July 23, 2017 – Mayor of the City of Castries, Peterson D. Francis, was made an honorary member of the Caribbean Chamber of Commerce and Industry. 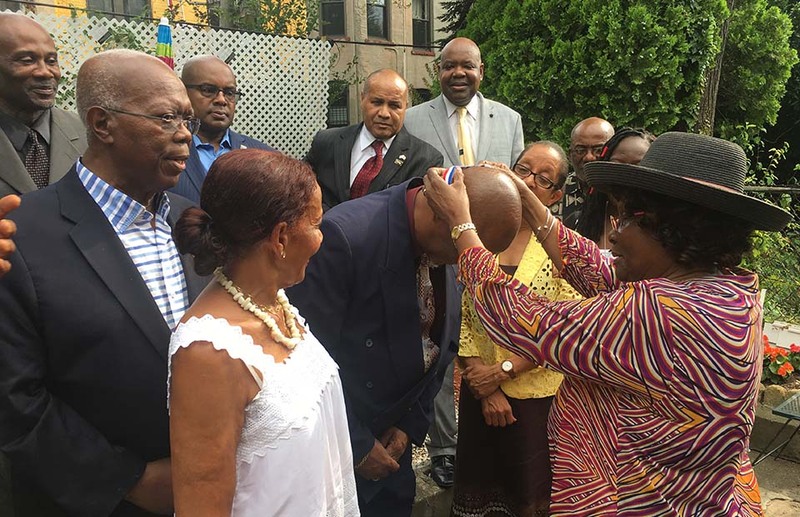 The honour was bestowed upon His Worship at a special meeting held by the Caribbean American Chamber of Commerce and Industry while on an official visit in New York. Preceding Mayor Francis’ receipt of the medal from President Dr. Roy Hastick before the Chamber’s membership, talks and commitments were made for micro-funding for vendors and entrepreneurs, the twinning of Castries and Brooklyn, improving the business climate in Castries and the export of bananas to the USVI, and Banana Ketchup to New York. The Caribbean American Chamber of Commerce and Industry – (CACCI), founded in August 1985, is a New York statewide membership organization which has developed expertise in providing assistance to small and start-up business owners in areas of planning, financing, certification, procurement, expansion, and export/import opportunities. Over the years, CACCI has developed a partnership with the NYC Department of Small Business Services to provide business services to Women and Minority Business Enterprises, to expand their capacities and increase their access to procurement contracts. In that regard, Mayor Francis thought the time was ideal for a marriage between the New York based CACCI and the Office of the Mayor so that the City of Castries can benefit from new business opportunities. He believes that Saint Lucians can also take advantage of that Chamber’s business model. “This is about partnerships. This is about working together,” said His Worship. CACCI’s President Dr. Roy Hastick expressed great gratitude to Mayor Francis, stating that the effort of his team is the stepping stone towards achieving the city’s progressive goals. “We will work with you. We will partner in key areas so that your city, its people and country by extension profits,” said President Hastick. Nonetheless, Mayor Francis said he was very proud to accept this first ever “Honorary medal,” to a Caribbean Mayor and looks forward to a growing partnership. 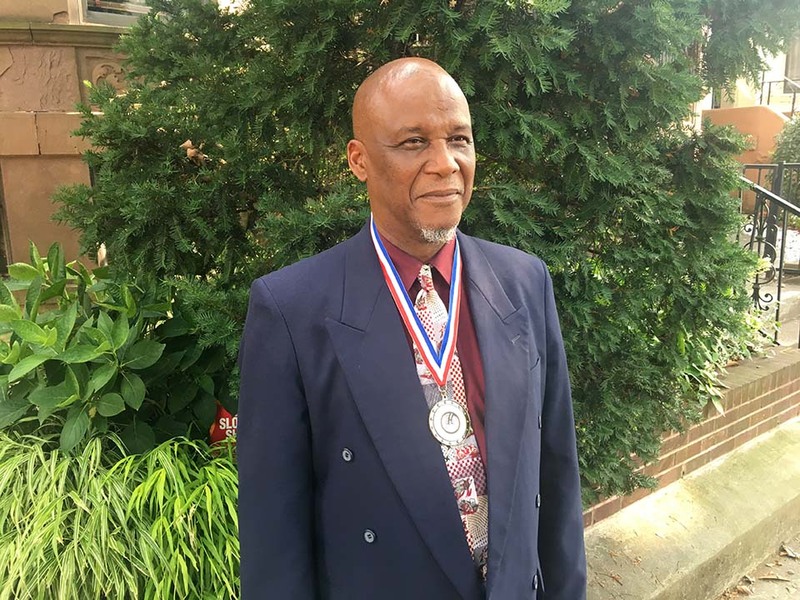 “This Honorary medal will forge the long-term partnerships for progress between the Caribbean Chamber of Commerce and Industry and Saint Lucia, which we expect to be quite fruitful,” said Mayor Francis. Previous articleMan Who Attempted To Rob Police Officer Shot Dead! Next articleSaint Lucia – Bad in Bum Bum!